Games of Thrones! This isn't just any show; it's a household name today. It's a revelation. Rather, it's a revolution in the realm of the fantasy drama genre. Isn't it? In an age driven by entertainment, binge-watching is but a common habit. Actually, few shows can or have been able to match the reach and appeal of the famous American fantasy drama series created by David Benioff and D.B. Weiss. But while there could be few things that could possibly better Game of Thrones (whether or not you watch it on the 'repeat-mode'), it appears, there's a parallel to the epic TV Series that one has found in the world of sports. In fact, there's a Game of Thrones in the world of Formula 1. Confused? Wondering what this really is about? 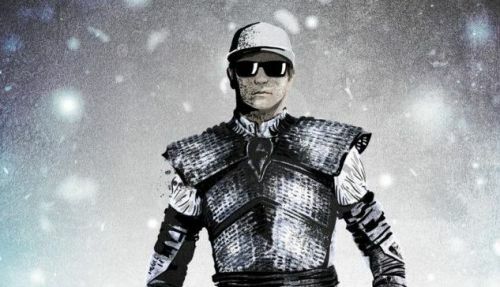 Well, what if Formula 1 drivers were characters from Game of Thrones? Ok, wait, that's a bit too much, right? 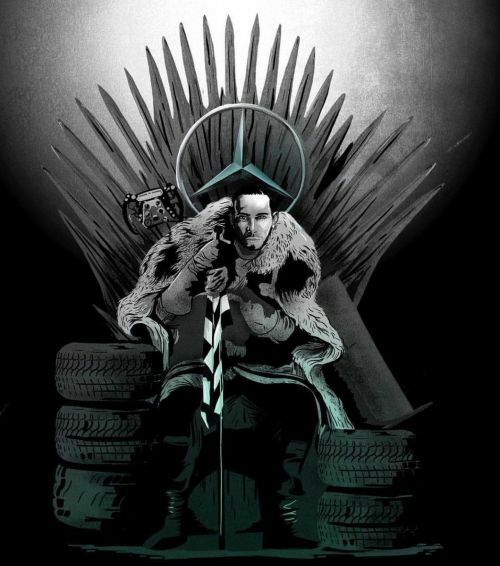 Well, while that can wait for another day, what certainly can't is the idea that Formula 1 itself has conceptualized in imagining drivers like Kimi Raikkonen and Lewis Hamilton in the Game of Thrones universe. So what exactly are we talking about? Well, take a look at yourself. While most would associate Formula 1 as being a spectre of speed, thrills, and sheer unpredictabilty, it is also a contest for supremacy, right? Isn't F1 therefore, a bit like the Game of Thrones, where drivers are eternal battlers, warriors perpetually entangled in the fight to conquer the throne? To that end, it perhaps makes for a compelling idea to imagine the 'Iceman' Kimi Raikkonen (former Ferrari World Champion, 2007) and five-time World Champion, Lewis Hamilton as eternal battlers of a kind. So guess what? When the first episode of GOT's final series aired in the US recently, viewers were taken aback with wide-eyed gazes and a pleasantness, for they weren't the only ones viewing the epic fantasy-drama series. F1's social-media team had joined in the party as well. And what unfurled in front of hundreds and thousands on Twitter, Instagram and other platforms was something one doesn't really find amid the chaotic races in a Grand Prix. Yet, it had a certain class and charisma about it. Apparently, Alfa Romeo driver, Kimi Raikkonen, who finished a fighting ninth at the Chinese Grand Prix was presented in westeros and so was 2018 World Champion, Lewis Hamilton. Of course, Kimi happens to be a natural fit in the Game of Thrones' scheme of things for the simple reason the series happens to be based on JRR Tolkein's- A Song Of Fire and Ice! Does the word 'ice' ring a bell? Well, of course, why wouldn't it? What was also incredible was to see Lewis Hamilton, the emperor of Formula 1 right now, someone who's sitting on a throne of sorts (with back-to-back titles starting 2017) in a westero. Espn, reported in greater detail about the story that seems to have engulfed the world of Game of Thrones and Formula 1, in an idea that has bridged the gap between two absolutely different worlds and for good measure.